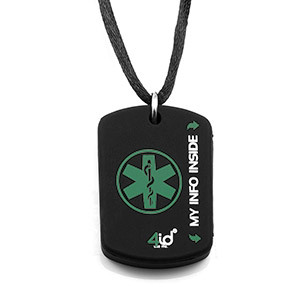 Carry your information with the lightweight 4id Sports Identification Necklace. This breakaway chain is designed to come undone if it becomes caught. Your information is readily available inside of the necklace with clearly marked indicators to ensure it is found. 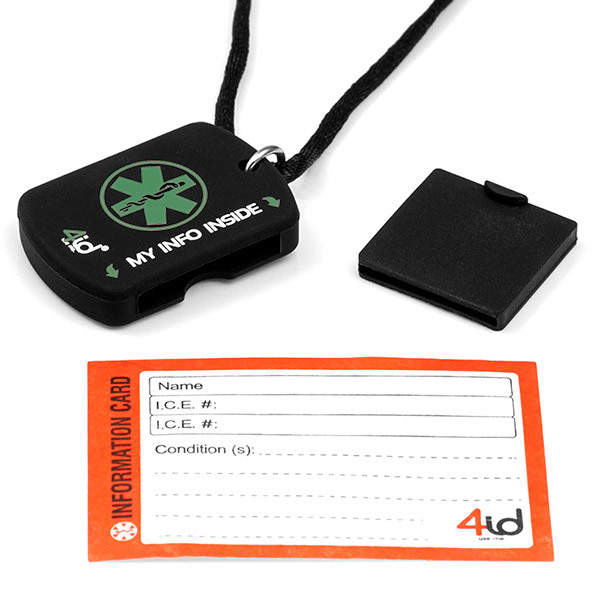 Write your information on the weatherproof ID card, fold the card, and insert into the holder. This piece fits into the tag of the necklace keeping your information easily accessible. No QR codes and no custom engraving; everything you need is in the box. Tag Measurements: L 1.25” X H 1.60”. Tag Materials: Silicone.